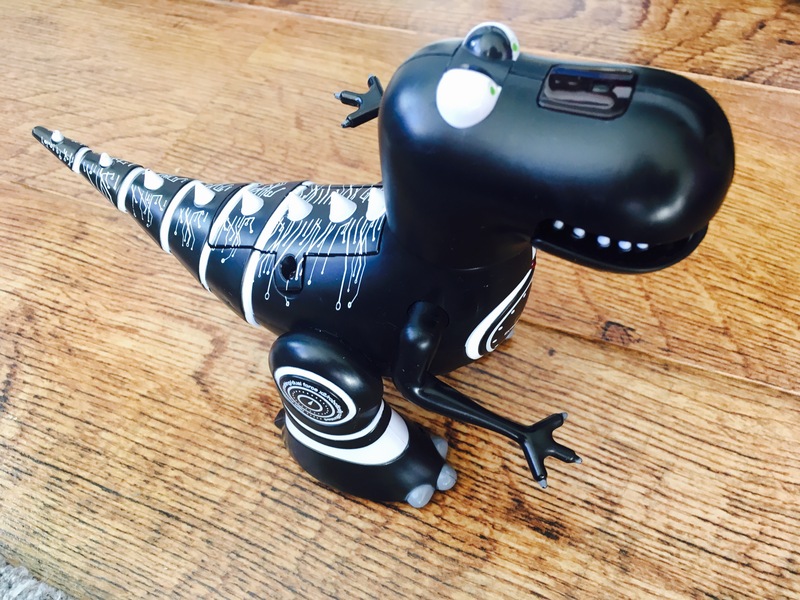 This weekend we’ve had a small, black and white dinosaur whizzing round our living room! 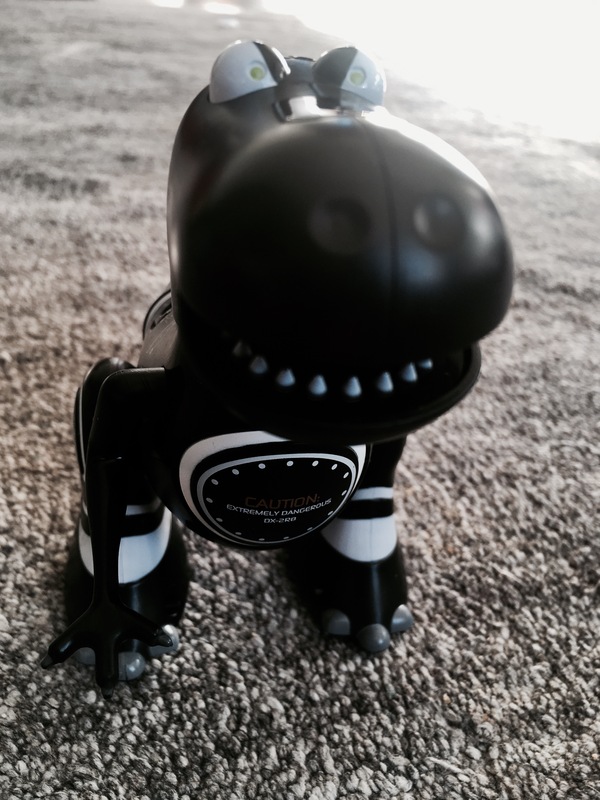 What did we like about Mini Robosaurus? Easy to Use– As a child I remember countless remote controlled toys that had loads of buttons and were impossible to control! 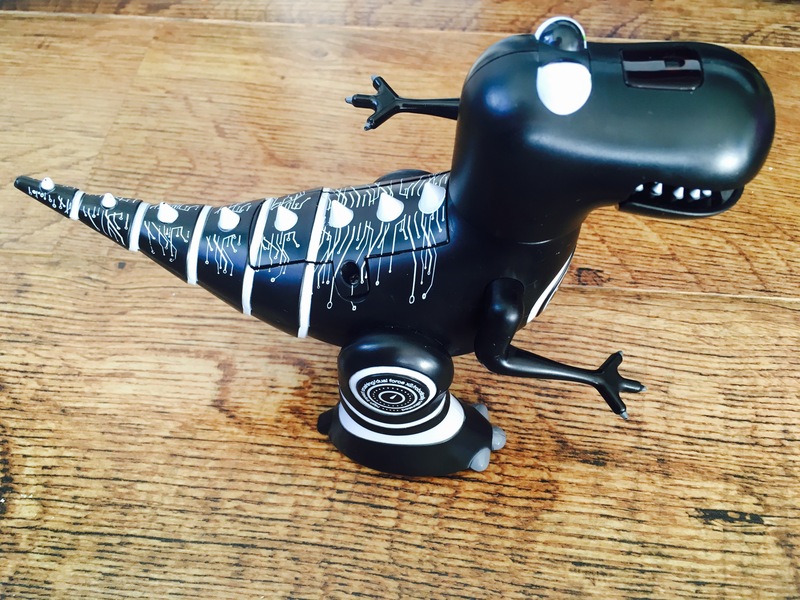 So I was somewhat relieved when I spotted just two buttons on this dinosaurs remote! 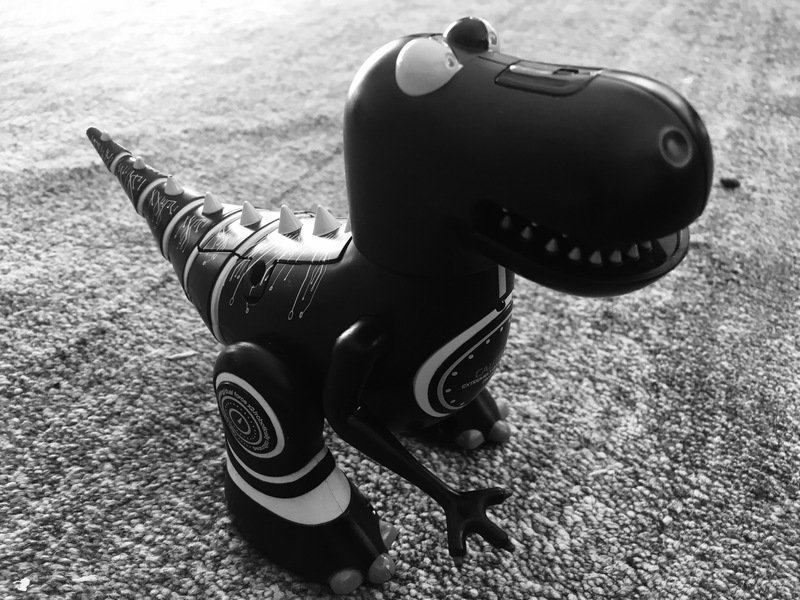 So simple to use and best of all, one of the buttons turns the dinosaur around, so you can’t get him stuck in a corner. Portable- We loved that the toy and accompanying remote are quite small so can easily be taken to grandparents houses, friends houses on holiday etc. Great for Christmas gifts! He’s brilliant- pleased you like him too!